Blog Marketing - Why Use A Blog For Marketing? A website without a blog is like a car without an engine! Blog marketing is now established as one of the most powerful and popular techniques of promoting a business on the Internet. 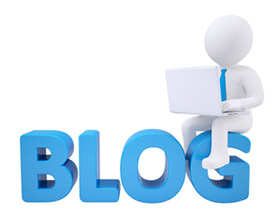 Blogging has become an essential part of running a website. If you or your company are serious about being successful on the Internet then you should have a blog. This valuable addition to your website will allow you to develop interactive content for your potential customers and to build a name to your company in your own field of expertise. The blog is the powerhouse behind many successful websites and is arguably the most important on-site element with regard to driving search engine optimisation. When run effectively, a blog should generate many more leads and sales and also be a platform by which existing customers can interact with your company. A blog can allow you to position yourself as a leader in your particular field, especially when it comes to new information. What’s more, if your content is original and stands out from what people read elsewhere on the Internet then you will gain much respect and a greater following for your brand. This perimeter security news blog is a good example. Dark Sea Web Design can help you to create and establish a blog which is informative, visually attractive and appealing to search engines and readers alike. We use well-established SEO best practices in blog development and its related ongoing promotion on social media. We can advise and help you to co-ordinate your blog with your social media profile and marketing to increase your chances of more traffic and new enquiries and sales leads. For your blog to be effective you will need to publish posts on a regular basis.The necessary frequency of these posts can vary according to the type of business and the degree of competition you have on the Internet. We can advise you on how often you will need to post for your business and how to respond to the positive or negative comments that your new posts generate should you leave them open to comment. Again, this is not something that every business opts to do.